The Midwest may be completely frozen these days, reaching some of the coldest temperatures ever recorded, but Virginia is on fire. In case you missed it, in January a bill was introduced in the Virginia state senate that sought “to allow abortions at any point during pregnancy including up until the point of childbirth in certain cases.” The bill failed to be voted out of subcommittee. While some states already allow third-trimester abortions in cases that pose health risks to the mother, this bill sought to give women the option to abort up until the point of dilation. This brings the abortion debate to a new level. It’s still too soon to tell how the political landscape will look after the dust settles, but time will tell. This statement was interpreted to mean that a woman and her physician would still have the option to abort a child after the child has been born. As you can imagine, many were calling this murder rather than abortion. Republicans, generally staunchly opposed to abortion, were quick to jump on Virginia legislators. Both Governor Northam and Democratic Delegate Kathy Tran, the woman who introduced the bill, received attacks from President Trump, former UN ambassador Nikki Haley, and the full spectrum of conservative pundits. One thing is for sure, conservatives will be using this incident as ammunition for their pro-life cause. Regardless of the intentions behind the bill, the optics are bad. Allowing women to opt out of pregnancies concerning viable children is sure to bring at least some moderates onto the Republican side of the debate. Furthermore, Republicans are certain to use the momentum of the public backlash to push their abortion agenda through government. Kathy Tran defended her bill, stating that she was “really surprised” by the reaction to her proposal. Her defense may indeed be more concerning still. If Democrats in Virginia couldn’t predict how their conservative counterparts would react to such a bill, these legislators may be losing touch with the people. What will this mean for the status of abortion in the United States at large? As previously mentioned it’s still too soon to tell, but things are not looking good for Democrats. They have to deal with a political battle that looks bad and pulls at the heartstrings of many people. Conservatives are always quick to throw the label ‘baby killers’ onto Democrats, perhaps unfairly. 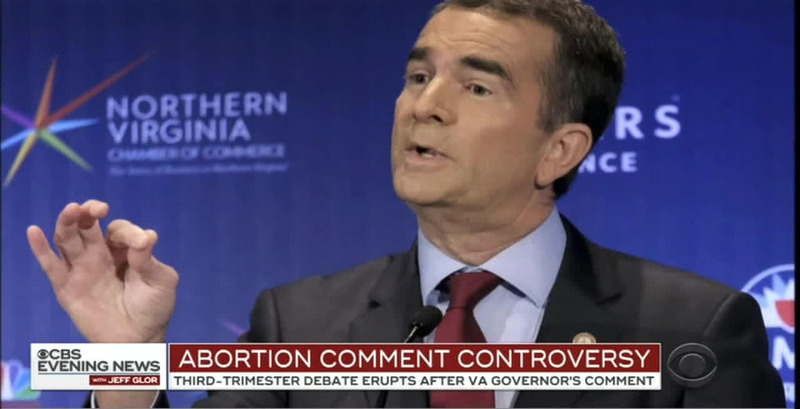 However, maneuvering out of the label may prove difficult when Democrats are proposing bills that allow for afterbirth abortions as per Governor Northam’s interview. Given the reaction so far, Democrats are definitely going to be busy with damage control following this failure.